Matthew accepts instructions in all of the practice areas listed below, having established a diverse practice since becoming a tenant in 2015. After reading Modern History at the University of Oxford, Matthew spent a number of years serving on the Executive Board of a local council as an elected politician and working for national and international charitable organisations. He then retrained as a barrister, and regularly appears in the County Court, High Court and Employment Tribunal in cases ranging from interlocutory matters to multi-week discrimination claims. Due to his previous working experience, Matthew has a keen awareness of the commercial realities facing both his professional and lay clients. Clients have described Matthew as extremely approachable. They value his timely and detailed advice which is 'always well researched and indeed goes above and beyond what we would expect to see'. Having served as a member of a disciplinary panel for a major public sector employer and as a former union representative at a national charity, Matthew has experience of employment law from the perspectives of both Claimant and Respondent. Matthew is regularly instructed in the Employment Tribunal, and has appeared in cases involving unfair dismissal, employee status, whistleblowing, and all forms of discrimination. Hearings in which he has appeared without being led have included multi-week cases involving numerous allegations of discrimination, along with cases involving complex areas of health & safety, working time and trade union detriment/dismissal. Matthew has also been instructed on several occasions in the Employment Appeal Tribunal, including in a matter heard before Langstaff J, the former President of the EAT. He regularly provides advice on the whole range of employment matters, and is available to assist with investigations as independent counsel. Matthew also regularly appears in Preliminary Hearings (both private and public) within the Employment Tribunal, and has provided pleadings and advice to Claimants and Respondents in a multitude of successfully settled claims which did not reach the final hearing stage. In addition, Matthew has provided assistance to counsel for the successful parties in the widely reported Employment Appeal Tribunal cases of Chesterston Global Limited and Another v Nurmohamed (which considered the public interest test in the context of whistleblowing) and McKinney v London Borough of Newham (which considered the appropriate time limit in whistleblowing detriment cases). Matthew has appeared in his own right in the High Court on commercial and tax matters, successfully obtaining freezing injunctions for a public sector client and dealing with matters relating to the Proceeds of Crime Act 2002. He has also appeared on the Masters' Corridor of the Royal Courts of Justice in connection with charging orders, third party debt orders and orders for sale, and regularly appears in the County Court in commercial matters of all kinds. These include both fast-track and multi-track claims in contractual and property disputes, as well as multi-track costs and case management hearings. Recently, Matthew has been instructed to defend a claim of fraud against a corporate client on the multi-track, and has also appeared in the First-tier Tribunal (Property Chamber). His experience in both employment and personal injury matters enable him to function particularly effectively in the cross-over between those areas and commercial law. 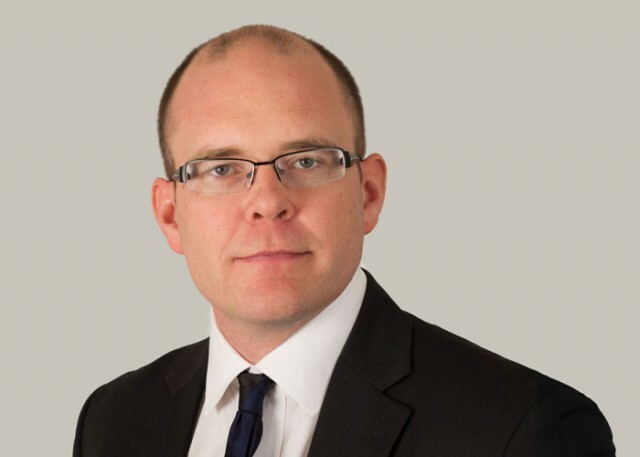 In addition to his own caseload, Matthew has been led on a range of commercial cases, and has assisted members of chambers in matters ranging from contractual disputes to international arbitrations. He has also provided training to a national firm of solicitors on issues arising from litigation on the small claims track and a seminar to the Association of International Petroleum Negotiators on the issues arising in relation to penalty clauses and Joint Operating Agreements. He is available for both telephone and in person applications/hearings relating to commercial matters on all tracks. Matthew acts in an advisory and advocacy capacity for both Claimants and Defendants within the field of personal injury, and appears in the County Court several times a week in this area. He has also appeared a number of times in the Masters' Corridor of the Royal Courts of Justice for case management purposes, including in complex CCMCs, and in interlocutory hearings at the High Court. His practice extends to both the fast and multi-track, and encompasses application hearings, costs & case management hearings, and full trials. He has delivered training to both national solicitors' firms and insurers on topics such as fundamental dishonesty, QOCs, relief from sanctions and credit hire. In addition to his own caseload, he has been involved in a number of leading personal injury cases. These have included the provision of research support for Rob Weir QC in Cox v Ministry of Justice  UKSC 10 and assistance in high profile inquests. Matthew has dealt with a broad range of professional negligence matters, with a particular focus on the negligence of legal professionals. He has dealt with questions of professional negligence on the part of solicitors, surveyors, financial advisors and insurance brokers, as well as professional disciplinary matters. During pupillage, he provided research assistance to Richard Harrison in relation to a Bar Standards Board prosecution, and also had experience prior to pupillage of fitness to practise hearings at both the Nursing & Midwifery Council and the Health Care Professions Council. Matthew is a keen distance runner, with a number of marathons and ultra-marathons under his belt. He is also a passionate cricket fan, and has the misfortune of being a lifelong supporter of Nottingham Forest FC. A Case of Bad Faith? All change at the Employment Tribunal?